Looking for a new neighborhood to explore in Tampa? 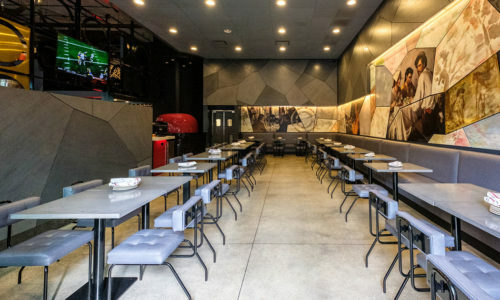 Look no further than Franklin Avenue, which has undergone a renaissance in the last 2 years. 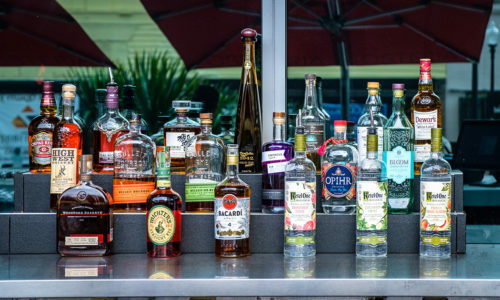 One of the most exciting additions to the area is Osteria Italian Bar & Kitchen, Tampa’s first celebrity chef restaurant, and it’s perfect for a date night, business meeting, or a night out with friends. 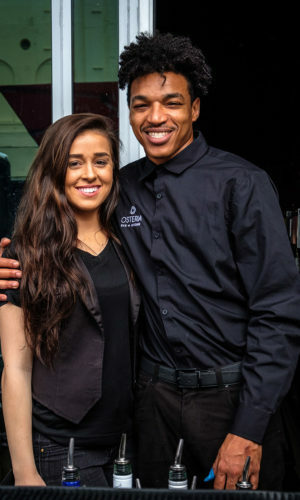 The always friendly bartenders at Osteria! 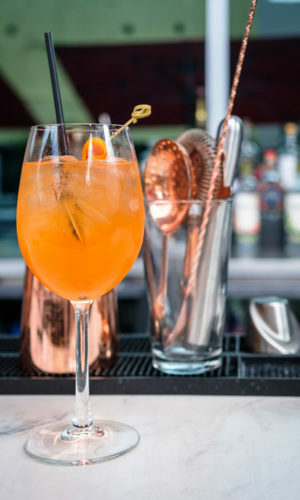 The Osteria Spritz is a perfect way to start the evening! 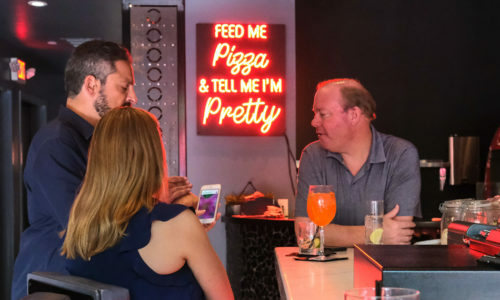 The Nocturnal Hospitality Group, which has brought Franklin Manor, Osteria, and most recently, Mole y Abuela to Franklin Avenue, has attracted a vibrant crowd to the growing area. 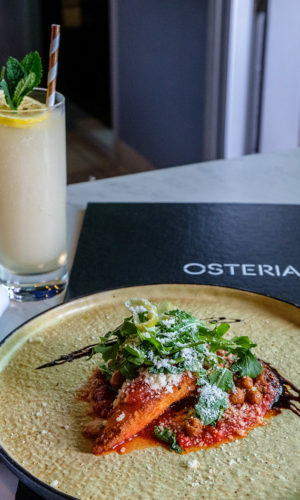 Partners David Anderson and LanFranco Pescante teamed up with celebrity chef Fabio Viviani from Tuscany to create Osteria’s Italian Bar & Kitchen, and the results are amazing! Serendipity was behind the magic of this collaboration, as Viviani and Pescante had met in Italy years ago. 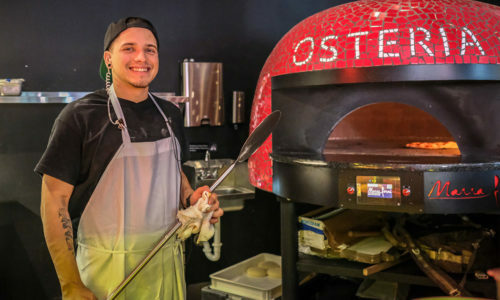 Upon hearing Viviani was traveling to Tampa, Pescante reached out, and after experiencing an evening at Franklin Manor, Viviani decided to partner with the team at Nocturnal Hospitality Group and Osteria was born. 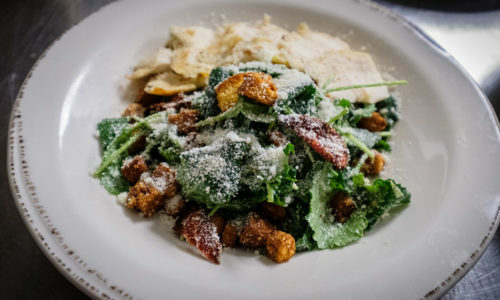 Having beat out Bobby Flay on the Food Network’s Beat Bobby Flay episode this year, there’s no need to question Fabio Viviani’s culinary chops! All of Nocturnal’s venues are within walking distance of one another, making it easy to explore all of them. 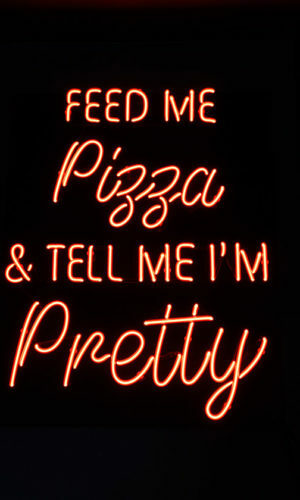 Or, plan to settle in for the evening at Osteria. 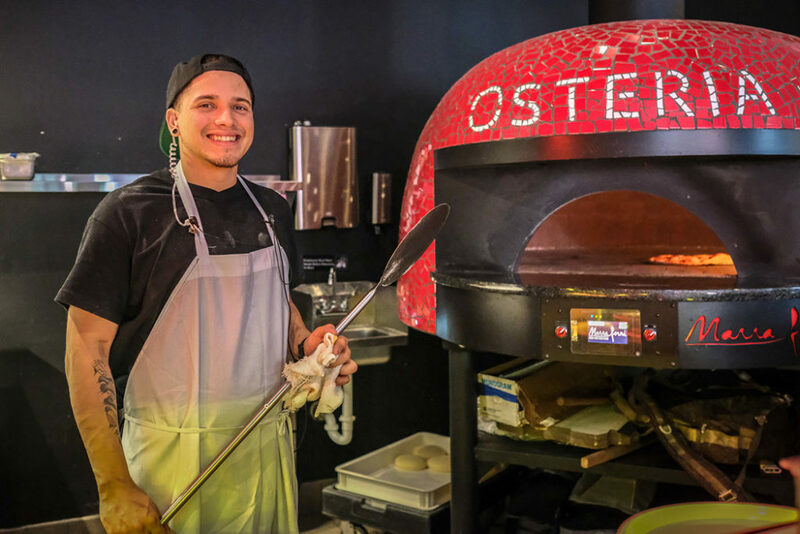 With a 600 degree pizza oven from Naples Italy, you can indulge in one of the best in Tampa in about 6 minutes! 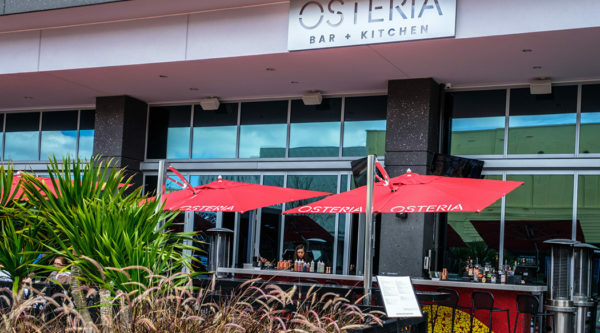 Osterias is the only place in Tampa where you can experience hand made pasta each and every day, including a wide array of gluten free options. 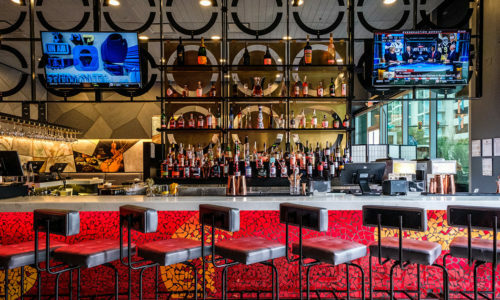 Fabio Viviani designed the menu, and trains the chefs to execute his vision precisely. Having spent a bit of time in the kitchen, I can assure you that no detail is too small when it comes to exquisite care in preparation and presentation. 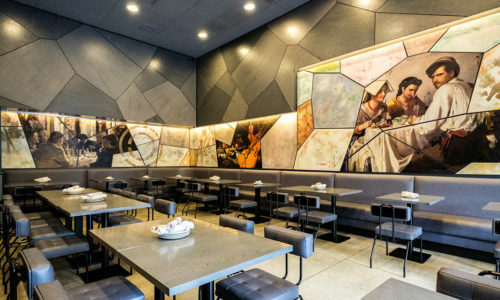 Nothing goes out until it meets the high expectations that Nocturnal and Fabio have set for Osteria! 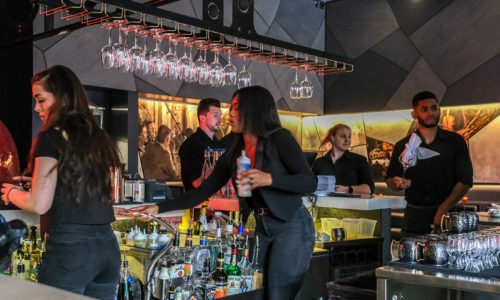 You may even see Fabio here on occasion, as he visits the restaurant and continues to grow the partnership with Nocturnal Hospitality Group. Ready for the dinner crowd! 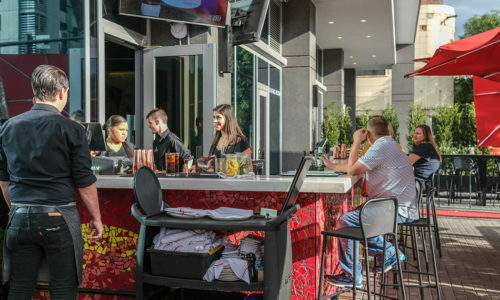 Nocturnal Hospitality Group is definitely shaking up the culinary scene in downtown Tampa and by the looks of the crowds, they have exceeded all expectations. 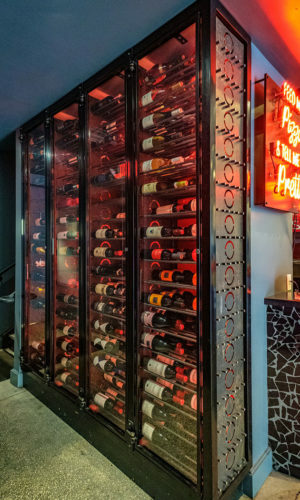 They’re open 7 days a week and have a private dining area upstairs that can be reserved for parties of up to 20. I can’t think of a better place to spend a special evening with friends and family! 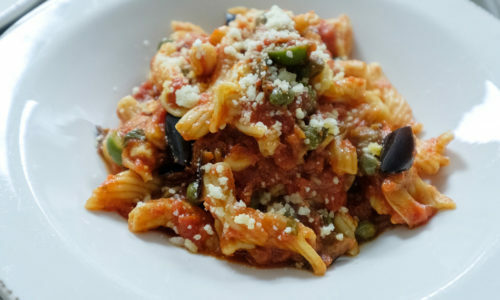 Buon Appetito from Tampa Bay Food Tours!